From the hilarious, oft-irresponsible travel enthusiast Auguste Gravel comes the first installment of travel stories that will make you shoot milk out of your nose and then shock you back into your seat with the next paragraph. 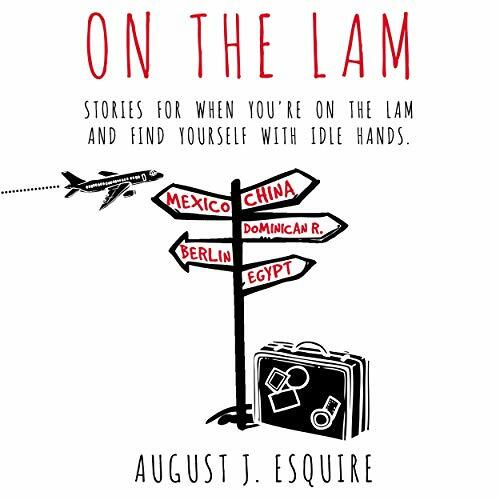 On the Lam is about leaving your comfort zone and stepping into a world of travel and the unknown. It's a funny audiobook that provides advice for new or experienced travelers of any age. Each chapter is a story full of adventures - or mishaps - that take place in five different countries: Mexico, Egypt, the Dominican Republic, Germany, and China. The listener will learn about some of the norms of the country, as well as tips and advice that make for a more efficient and street-savvy globe-trotter. It is a perfect listen for a plane ride or while sitting waiting for a bus or train to another destination. Quick, easy, funny, and informative.